We have the knowledge and technology to provide clean drinking water to people throughout the world. Nearly 97% of the world’s water is salty or otherwise undrinkable, and another 2% is locked in ice caps and glaciers. The human body needs food and water to survive. A human can go for more than three weeks without food, but water is a different story. At least 60% of the adult body is made of it and every living cell in the body needs it to keep functioning. Water acts as a lubricant for our joints, regulates our body temperature through sweating and respiration, and helps to flush waste. 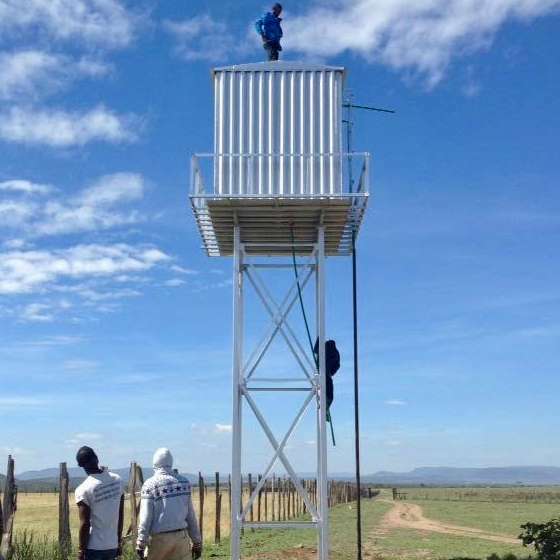 Where and when feasible, adding a solar pump and a water storage tank adds considerably to the impact that bringing the gift of clean water can have to a community that is without such a basic necessity. Simply stated, the solar pump is comprised of a solar array (which captures the energy from the sun) and a pump that is designed to run on that type of energy. Often, there is no electricity available in these remote areas. Without a source of electricity, other options such as hand pump, or a gas generator powered pump, are considered, but they really aren’t good solutions for deep water wells. A hand pump just does not work well for deep wells, and even if it did, it would greatly reduce the amount of water extracted. Children (who often have the responsibility of obtaining water) do not possess the size or strength to run a hand pump for a deep well. A pump powered by a gas generator requires constant funding to fuel it. The communities that we are attempting to reach just cannot afford to pay for the fuel to power the generator. When the filters are distributed, families are instructed on how to maintain the filters along with the benefit they provide. The composition of the filters consists of a porous ceramic coated with a silver colloid which effectively kills the bacteria, etc. that is present in the water that they get from the rivers or cisterns. The silver also helps to prevent the growth of mold and algae in the body of the filter. These filters last a minimum of 2 years before they need to be replaced. Families are taught by HHM how to clean and maintain the filters when film builds up over time to ensure that the filter is not scratched or chemically damaged. Instructions are also attached to the filters stating whom to contact in the event that the filter is damaged. The impact has been dramatic. Health workers, teachers and pastors in the various communities have noticed a significant improvement in the health of both adults and children Gastrointestinal illnesses have dramatically declined (up to 90%) because of use of the water filters. Adults are missing less work and children are missing less school. 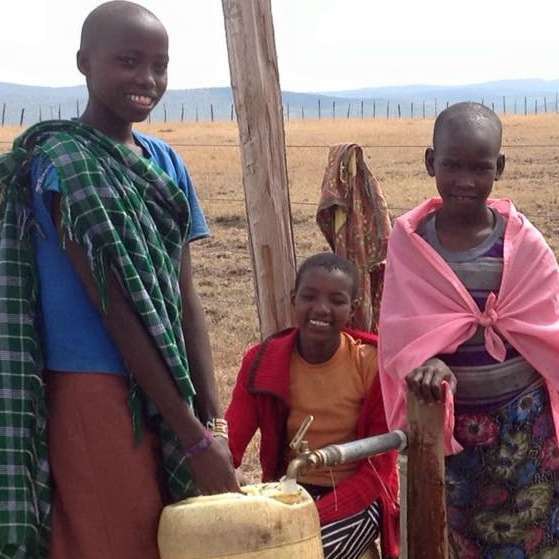 Families have learned to take bottled water from their home filters to work and school. As an aside, schools and churches in the areas the group visits are also provided filters. One added benefit is that these filters are manufactured in Honduras and as a result provide income to the manufacturer and its suppliers. This also keeps the cost of manufacturing and transporting the filters to a minimum. 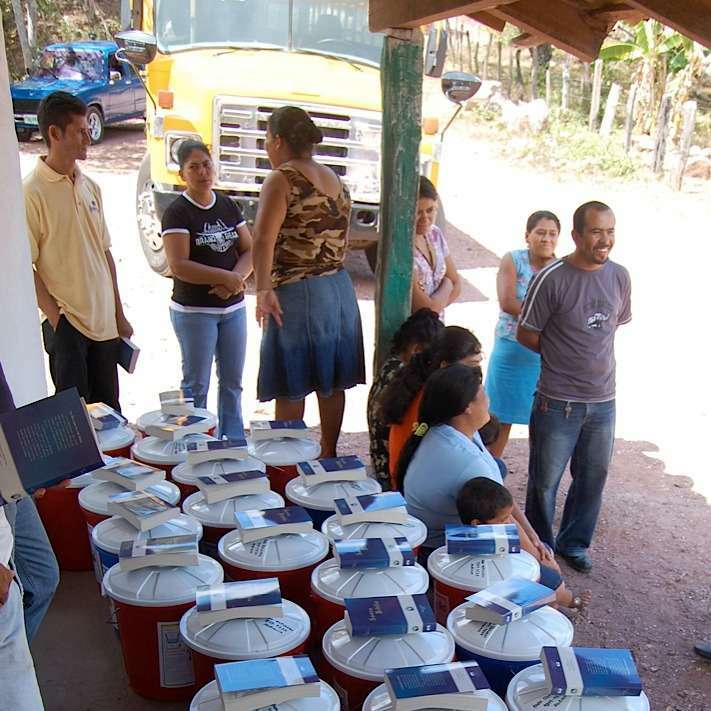 The Hope Families mentioned above assemble the filters upon delivery to the brigade team. There are three simple ways you can help right now! Every dollar donated to Ingomar Living Waters goes directly to water projects. A well or sanitation project typically costs $5-10K. Get together with your church small group or friends and chip in to build a well! We can always use help with managing projects, organizing our major events, and with web and marketing work.